The last remaining survivors of North America's worst polio epidemic say they are living out its grim legacy — post-polio syndrome — with a medical community that doesn't know enough about the syndrome or the epidemic that caused it. "I tell a doctor I had polio as a child, he'll just look at me with a blank stare, like 'so what?'" Altona resident Al Giesbrecht said. "You might as well call it X-Y-Z disease because it has no meaning." Giesbrecht, who contracted polio in 1952, is one of an estimated 16,000 remaining survivors across Canada living with post-polio syndrome, a neurological disorder that targets up to 60 per cent of polio survivors decades after their original bout with the virus. Some symptoms are inconvenient, like the midday fatigue dubbed the "polio wall." Others are life threatening, like the inability to swallow which leads to choking, even on one's own saliva. "I have this constant fear that one day I am going to be alone at my table and I'll choke to death," Giesbrecht said. "I've almost strangled myself on a crust of bread." But those living with post-polio syndrome describe a medical community unwilling to acknowledge the syndrome or its severity. Albert Patenaude's post-polio syndrome robbed him of his ability to walk or climb stairs. His family doctor didn't buy the post-polio explanation. Instead, he advised getting a new doctor. "The doctor said to him … 'If you can't make it up these stairs and into the waiting room, then I can't see you,'" said Joan Patenaude, Albert's widow. "We were just cut loose." Carol Rankmore knew something was strangely wrong when she began to fall — repeatedly, and for no apparent reason. The falls were so bad she sustained fractured bones, skull injuries and strained tendons. She later learned the falls were a common symptom of post-polio syndrome. Her doctor, however, thought she was just clumsy. "He didn't even suggest I get a walker," Rankmore recalled. Their concerns are ironic, they say, given Manitoba's notorious history with the virus. While polio ravaged communities throughout Canada in the early 20th century, Manitoba's outbreaks were among the most virulent. 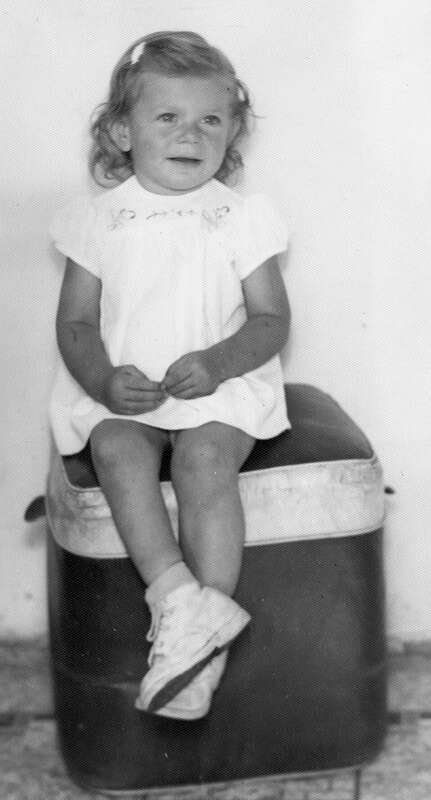 Polio survivor Carol Rankmore, four, shortly after her polio diagnosis was confirmed. Her right leg is clearly shrunken as a result of the polio. Today, she lives with post polio syndrome. (Supplied (Carol Rankmore))Six epidemics gripped the province between 1928 and 1953. The last one made headlines around the world. Winnipeg, specifically was deemed as having the worst outbreak, per capita, of any North American city. More than 3,100 Manitobans caught the virus, and 190 ended up in iron lungs. Eighty-nine people died. Despite this fact, experts concur with the survivors — polio is off the medical radar, even in Manitoba, with its infamous connection to the disease. "That is a fair description of it as it exists," said Dr. Ming Chan, the executive director of Canada's only dedicated post-polio clinic, offered through Edmonton's Glenrose Rehabilitation Hospital. "The last group of people were infected so many years ago, polio is not an ongoing disease. People see symptoms of post-polio today, but don't think to make the link." As a result, Chan said, it's easy for the medical community to misdiagnose the post-polio symptoms. Instead, those living with it rely on each other to learn the research and spread the word. "The next doctor I saw, I said 'I'm going to make it easy on you,'" Carol Rankmore recalled. "I said, 'I have post-polio syndrome. Here's an information pack about it.'"